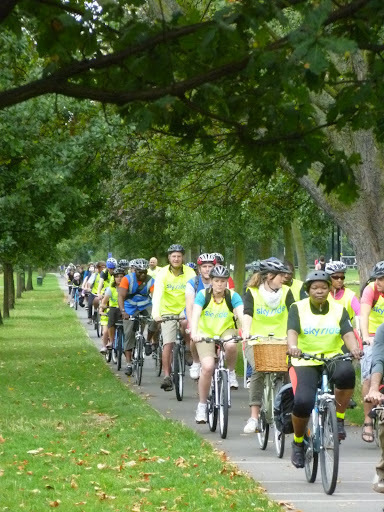 On 4 September 2011 Lambeth Cyclists successfully organised two feeder rides to the central London car free Skyride. Although not as popular as previous years (possibly due to the weather and timing) hundreds of people enjoyed our led rides from Streatham Hill Station and Clapham Common. We hope that by showing them how easy it is to get around Lambeth and to central London by bike we will encourage participants to cycle more across Lambeth and London day to day.